Want to drive more eCommerce sales? Increase repeat purchases? All without spending more money on advertising? Well, you’re in the right place. In this article, we’ll show you 4 proven automated email marketing campaigns eCommerce brands can use to do just that. We know that launching an eCommerce email marketing strategy can be daunting. There are so many techniques you could implement. If you’re just starting out, then you should focus on putting these 4 automated eCommerce email campaigns in place first. They’re proven to work and are a great fit for almost every eCommerce brand. 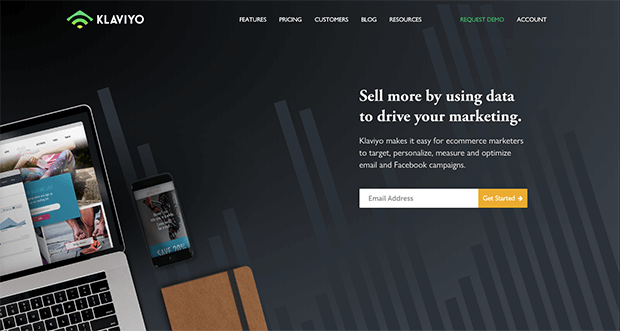 To take full advantage of what you’ll learn in this article you’ll need one of the popular email marketing automation tools, such as Klaviyo or Constant Contact. You’ll also need an effective exit intent lead capture solution such as OptinMonster. If you’re reading this, you probably already have a reputable email marketing tool as part of your overall eCommerce marketing strategy. So, let’s look at the best 4 automations you should put at the top of your list when getting started with marketing. Research by the Baymard Institute tells us that on average, 69.23% of shopping carts are abandoned without a purchase. That’s almost 7 in every 10 potential customers failing to buy products they’ve added to their cart. An effective cart abandonment automation addresses as many of these concerns as possible. When building your cart abandonment sequence, create 3-4 emails, delivered over a 2-3 day period after someone drops out of the purchase process. Email #1: Sent 30 minutes after someone abandons your shopping cart without returning to complete the purchase. Email #2: Sent 12-24 hours after the first email, if the prospect has still not made a purchase. Email #4: Sent 24-48 hours after email #3, if the prospect has still not made a purchase. Contrary to what you may have heard, it is not necessary to start offering discounts immediately in the first cart abandonment email. There are many reasons someone could fail to complete an order which are unrelated to price, so you could be be giving away margin unnecessarily if you decided to offer a 15% discount code in your first email. Instead, try addressing other objections in the first step of your cart abandonment sequence. Start by asking people if they had any issues checking out, if they need further questions answered before buying, or if they simply forgot to complete the order. You’ll be surprised at just how many lost sales you can recover without going down the road of offering discounts immediately. 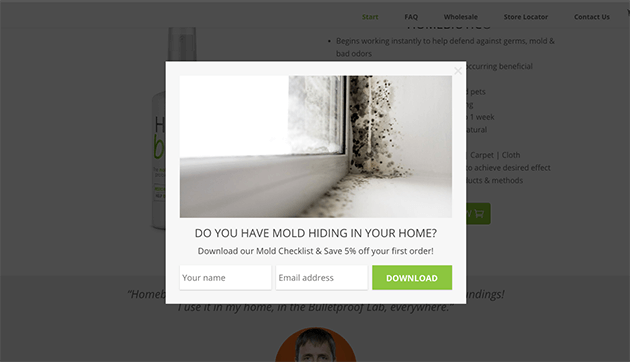 Simple copy that offers solutions to objections, along with dynamically populated images of the items in the cart, and a big call to action button, works very well to recover sales. If you aren’t already doing this I bet you’ll be surprised by just how well it works – even without discounts. In emails 2, 3, and 4, you can start to introduce coupon codes in order to incentivize people to come back and purchase, if they have not yet done so after 12 or 24 hours. Both coupon codes for free shipping as well as a percentage off of the total order value work well. Many brands find that 10-15% off is enough to recover a large amount of sales, although coupons as low as 5% can still be very effective. It’s of course important to test what works for your customers and your brand. One of the most valuable email automations any eCommerce store can implement is a sequence that’s designed to turn non-buyer leads in to first time customers. In fact, this is the top performing email automation in terms of total sales revenue for many online retailers. Using OptinMonster you can convert a high percentage of abandoning website visitors into valuable email subscribers. An automated email sequence can then be used to market to these new prospects over the following days with a goal of educating them about your brand, building trust, and eventually converting them into new customers. A common way to capture these non-buyer email addresses is by offering people something of value in return for an email address as they show an intent to leave your eCommerce store without buying, called a lead magnet. Both a discount coupon to use against a first purchase or an educational content download, are great incentives. Once you’ve decided which incentive you’d like to use to build your email list, it’s time to put an automated email sequence in place that will convert as many of these people from leads to customers as possible. We’ll use a combination of storytelling, social proof, and product benefit focused emails to achieve this. Below is a simple 5 email framework you can follow and customize for your brand. Sent immediately as soon as someone opts in. Your primary goal for your first welcome email is to start the relationship off on the right foot by giving people exactly what they opted in for. So deliver their coupon, free guide, or whatever else you offered them in return for an email address. Add in a very short intro to your brand, and invite people to come back to your store to check out your current bestsellers. Remind them to use their coupon code if they received one. Sent the very next day, if they have not yet purchased. Here you can include a more detailed introduction to your brand, and take the time to officially welcome people to your tribe, family, or whatever you like to call your collective group of customers and subscribers. At the end of the email, invite them to reply with any questions they may have about whatever it is you sell. Sent the next day after Welcome Email #2. Introduce people to some of your bestselling items, along with the benefits your customers enjoy from these products. Include customer reviews and customer product images if you have them. Instagram is a great place to get these. Remind people they still have a coupon to use against their first order if they received one. Sent 2 days after Email #3 to people who have still not purchased. Try changing gears here by building some trust and authority with people interested in your market. A great way to do this is by emailing them a piece of educational content you’ve published on your eCommerce store blog, or a helpful article or guide which can be found elsewhere on your site. This piece can of course subtly sell your products, but it should ideally be designed to educate people in your market, build goodwill and create a positive brand experience. Sent 1 or 2 days after email #4. Make the focus of this email social proof. Highlight some of your best customer reviews – the ones which really sell the benefits people get from buying your products. This is a great way to build trust with prospects who have still not yet decided if they want to purchase from you. Remind people they still have a coupon to use against their first order if they received one, and highlight some best selling products they could use it with. There are many variations of non-buyer welcome sequences, but the above framework is a great starting point which will work well for most brands. It’s tempting to go straight into sales mode with new non-buyer leads. However storytelling and making a real connection with your prospects is a better route for most brands, rather than pushing a stream of discount codes to people who are still not too familiar with you. Orglamix, a 100% natural and cruelty free makeup brand, does a great job of taking new subscribers through an automated sequence. They use various angles to connect with their ideal customers, educate, build trust, and turn prospects into customers. You’ve probably heard of the 80:20 rule, which in terms of eCommerce, broadly tells us that a large percentage your overall sales revenue is likely driven by a disproportionately small segment of your overall customer base. We call these customers VIPs. They are the people who buy over and over again, far more frequently than the average customer does. Not only do they buy more often, they also tend to have higher than average order values – so they spend more at each purchase. It is absolutely worth identifying who these people are for your business, and designing some automated email campaigns to recognize, show appreciation to, and reward them as soon as they meet whatever criteria you put in place for someone to be considered a VIP for your brand. For example, if your store has an average order value of $50, you may want to consider someone a VIP customer after they’ve spent over $400 or made 5 or more purchases with you over their lifetime. You’ve identified your most valuable customers – the cream of the crop – it is time to create an automated email funnel just for them. You want to let these people know you’ve recognized their loyalty to your brand and that you value and appreciate them. A simple 2 or 3 email series will achieve this. VIP only offer: This is simply a one-time use coupon of higher value than you ever offer to your main customer list, or publish anywhere else online. If the maximum you ever offer publicly is 15% off, then give your VIPs one chance to use a 25% discount coupon in your store on their next order. They will absolutely love this. Free gift for VIPs: You already know how much these people love your products, so why not give them something free with their next purchase? If you position this correctly as highly exclusive, the VIP free gift incentive can be a very cost effective way to create bulletproof brand loyalty and turn your best customers into genuinely raving fans, who can’t wait to tell anybody who’ll listen about how great your brand is. Set the first email in this sequence to send the day after someone becomes a VIP, according to the criteria you set. Follow up with one or two further reminders about the exclusive offer after 24-48 hours for people who have not yet made another purchase since becoming a VIP. Using email automations is a great way to turn prospects into buyers, but it is equally effective at creating an amazing experience for new customers, reinforcing their buying decision, and encouraging reviews, and repeat purchases. After making an initial order, customers will likely receive an automated confirmation email or transaction receipt. Although these are essential, there is a lot more you can do to create a great customer experience from day 1, even before new customers receive their items. If you get this right – you’ll build excitement, reduce your refund rates, and create customers who are in love with your brand possibly before they’ve even received anything from you in the mail. This, of course, means more repeat purchasing and higher lifetime customer values. In this same new customer automation, we’ll also start the process of automatically generating reviews, and cross selling related items to create repeat purchases. Send this immediately after purchase. A good strategy here is to craft a heartfelt thank you message, so new customers feel appreciated and valued. It’s even better if you position this as a message from the company owner or founder. You can softly promote other products related to what someone has just purchased, however the main focus of the email should be on showing gratitude, making sure people feel like they’re in good hands, and have just made a great purchase decision. Sent two days after purchase. Go for a detailed brand indoctrination in this email. Explain what you stand for and your values or mission. A personal story from your founder about how the brand came to exist works well in this email to keep people engaged and excited while they’re waiting for their order to arrive. If your customers require, or could benefit from, any kind of content demonstrating how to use their products for the best results, it is a great idea to start sending this to people in your new customer email sequence. This helps to build anticipation for the arrival of customer orders. Feel free to break this content out across multiple shorter emails while customers are waiting to receive their items. 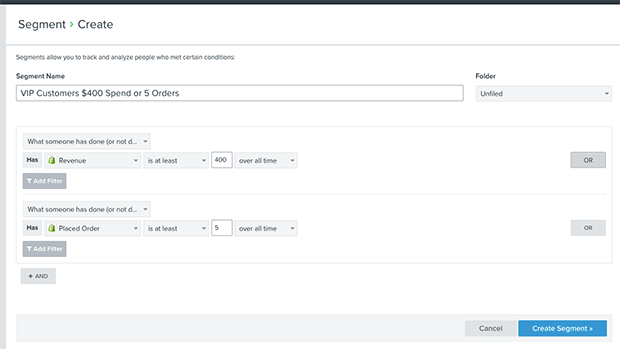 If your brand has reasonable shipping times, set the rest of your new customer sequence to deliver after people should of received their items. This is a great time to be engaging people, just as the excitement from receiving their order is high. Those are the main components on an effective new customer email automation. As you continue to develop your email strategy over time you can also break off different parts of this sequence into their own more in-depth automations. These can be specifically targeted to achieve certain goals more effectively, such as cross-selling, review generation, and referring other people to your brand. At the beginning though you can keep all of this inside one simplified new customer email automation. 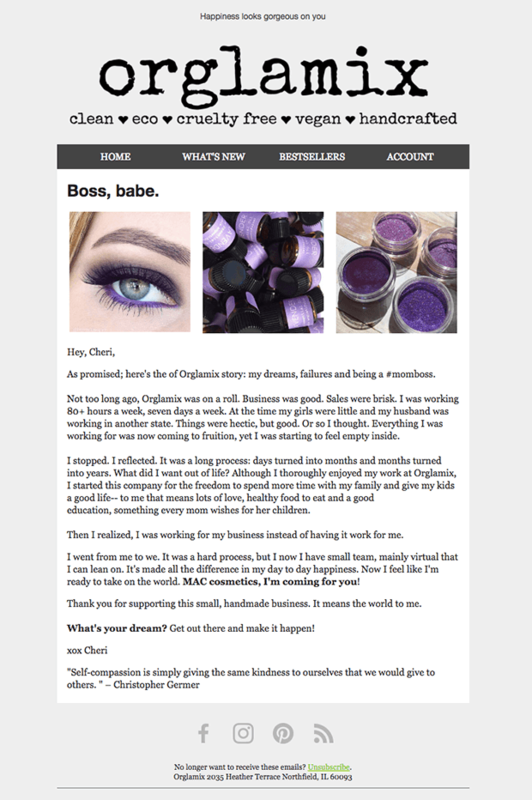 Then check out these eCommerce email examples for more inspiration. So there you have it, 4 eCommerce email marketing automations you can use to drive more revenue for your brand on autopilot. Now it’s time to implement! Get started with putting these campaigns in place starting today. You’ll likely be surprised at just how much additional revenue you can gain with a solid automated email strategy. This article gives you the foundation for that. If you’d like to read more about growing your sales with effective eCommerce email marketing, take a look at this case study detailing how an online retailer grew their list using OptinMonster. Ryan Turner is an eCommerce email marketing expert and founder of The Email Funnels Agency. He helps eCommerce brands profitably grow sales, increase repeat purchase rates, and scale their businesses using the latest email marketing strategies designed specifically for online retailers.